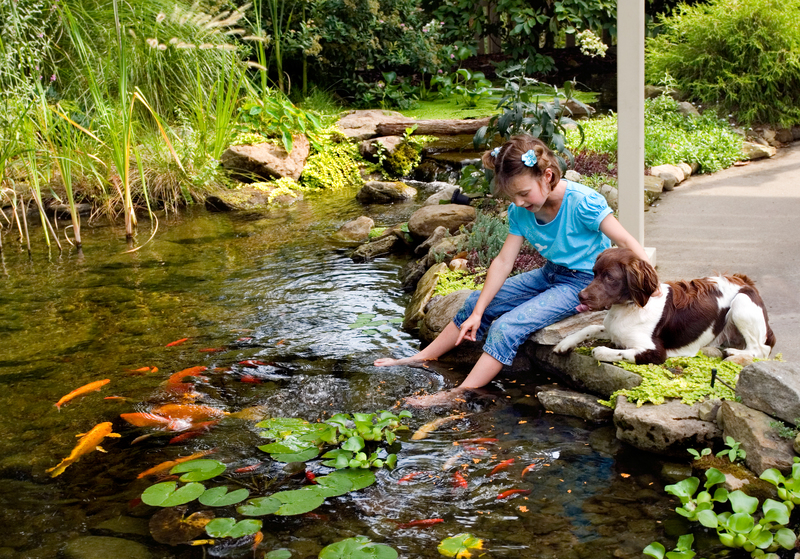 Another thing we hear often is that a Koi pond won't be safe for kids. Well, nothing is really safe for kids if no one is watching...right? The fact is, sure an unsupervised child near a pond could pose a threat, but the same can be said for bathwater, lakes, rivers...oceans. At least your Koi pond won't be host to sharks or alligators, and if it was, there might just be bigger problems. Lets also consider the bigger, brighter picture here. Kids love water, and they especially like to explore. We have seen kids grow up in an environment that had a backyard pond. They enjoyed more time outdoors, more time learning about nature, more time spent with family by the pond...they learned how a small scale ecosystem pond works and how that relates to the bigger ecosystem...and so many more great things. Some of these kids are now growing up and heading in the direction toward an environmental career looking to make a big difference. A Koi pond may seem like it might be unsafe for small kids to be around, but there are steps you can take to make that area child friendly...and remember a backyard water garden may even start the process of opening up future doors for your children. Water Depth - Our Koi ponds come in varying depths, starting at about 20" shallow and going to as deep as typical in ground pool, these are called swimming ponds or natural swimming pools. Fencing - While this is not something most Koi pond owners do, there are some out there that opt to have a small fence put around their Koi pond to put their mind at ease. 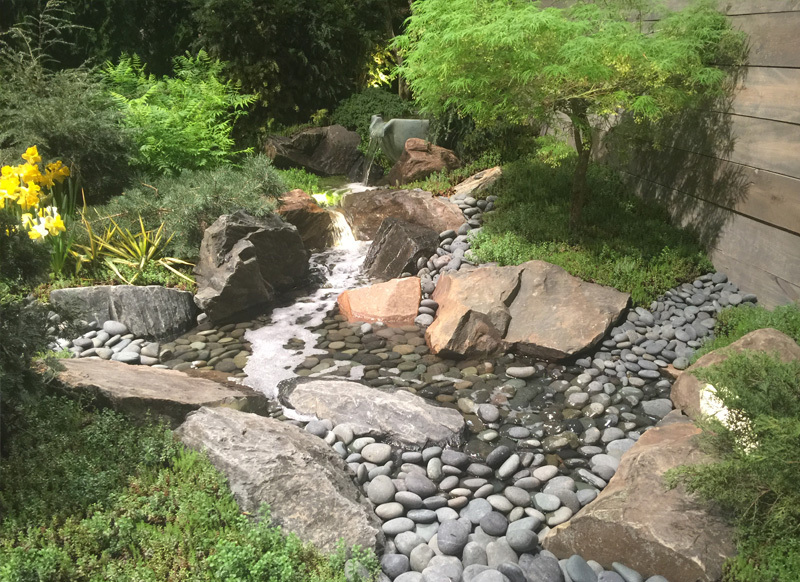 Pondless Waterfall - If you're completely against having a Koi pond, consider having a pondless waterfall installed instead. 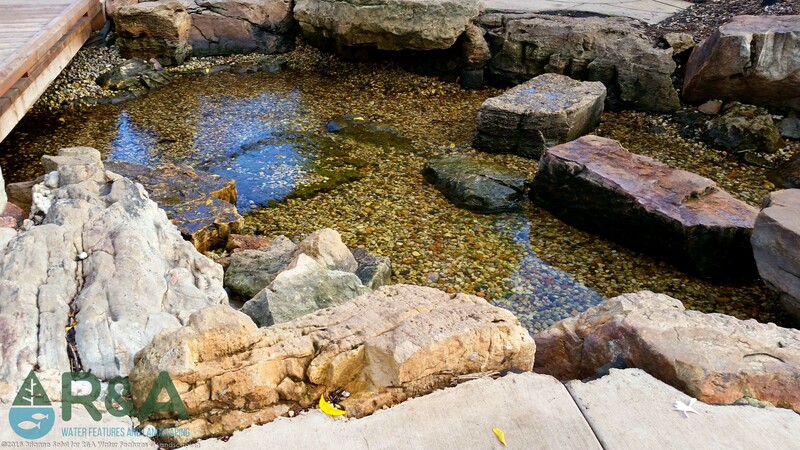 A pondless waterfall give you the signs and sounds of a larger water feature, but still give small kids a fun place to play. Decorative Fountains - Another great option for those that do not want a Koi pond, is one of our decorative fountains. 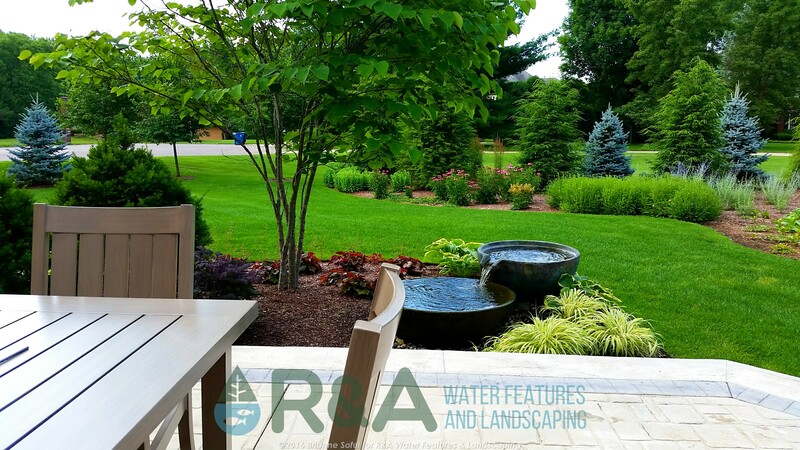 Like our pondless waterfall, our decorative fountains allow you to enjoy the calming sights and sounds of a water feature, without the depth a pond requires. Check out our spillway bowls, stacked slate urns, basalt columns, and pagoda stones, a few of our top rated fountains.